connects you to a new friend for life. cleanses the surrounding you are in. protects you from negative frequencies coming from all around you. gives you the ability to heal yourself and others in not more than 10, 20 or 30 seconds. gives you the ability to cleans yourself from karma from this life and previous lives. A new friend for Life. The moment you are attuned to the Crystalline Energy you are connected to a new friend who will help you on your spiritual path. This new friend will help you to send healing energy to yourself and this new gained friend will help you to send energy to others. This new friend will help you to set new goals in live and this new friend will help you to achieve these new goals. How this new friend will help you will be explained in Healing 1…2…3.. When you are in times of great need for help if things are not going as they should trust upon the fact that you have now a “friend” who is there for you and is willing to help you in anyway it can, the only thing you need to do is ask. How: Just talk to your friend in your mind, tell it what is bothering you and what kind of help you want or in what way you want to be helped. Note: It is not magic so don’t expect that things changes instantly but as I explained already that all is made out of energies and with means of energy you can push things more in the right way, you can influence the go of the flow a little more to your favorite. Cleansing the surrounding you are in. The frequency of the Crystalline Energy is so high that it pushes all negative energies which surrounds you away. 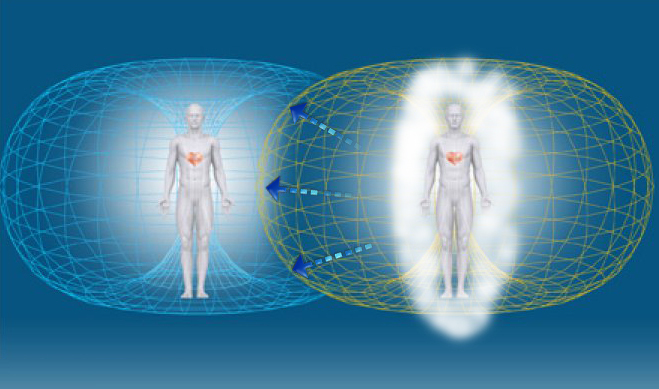 When you are with people with a negative low vibrating energy, you are protected by the high vibrating Crystalline Energy, you can think of it like a wall, see picture on the right. When you are in a room, the high level of your vibrating energy pushes the negative energy out of the room as well. Because of the high vibrating frequency of the Crystalline energy the negative entities or spirits with low vibrating energies will be pushed outside the room, even outside the house you live in. Being attuned to the Crystalline Energy gives you the ability of healing. The moment you are connected to the Crystalline Energy you have the ability to heal. It is very easily done and it only takes a couple of seconds. Get rid of Karma you build up in this life and other lives. The decisions you make define you as a person, some decisions are made with the best intend some others are made in the heat of the moment and sometimes decisions were pushed upon you by others…. These decisions could have been made in this life and in previous lives. Some of the decisions you have made or the way you have acted in this life or previous lives could be hunting you at this time and even influence your life in present day and for this there is no need anymore. With the willingness of wanting to be attuned to the Crystalline energy you showed the galaxy that you want to make something of yourself, that you want to learn and grow to become a better person who want to learn from its mistakes and is willing to help others as well. 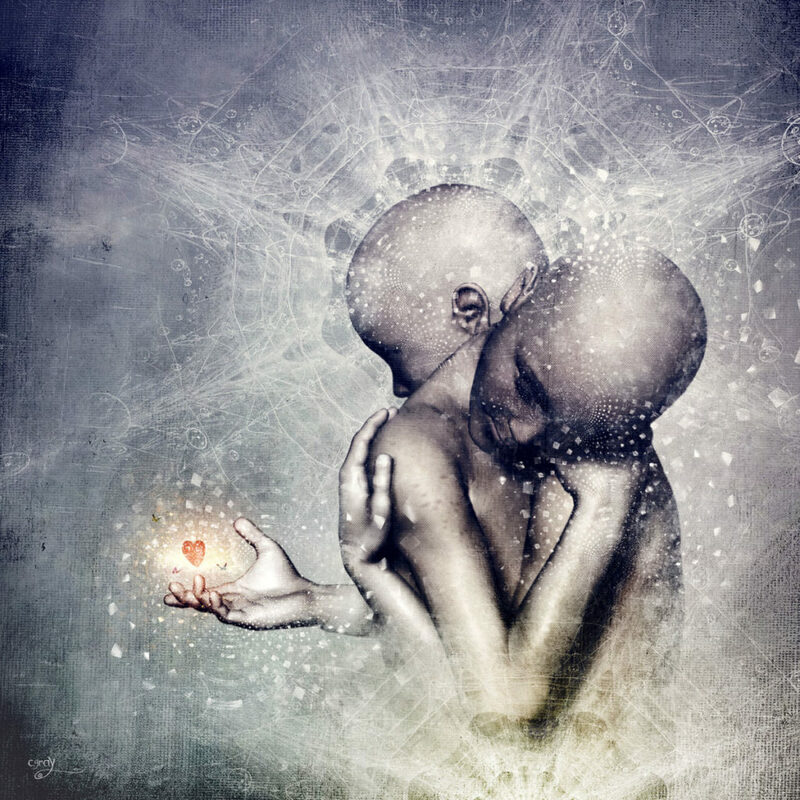 To give the person who is attuned to the Crystalline Energy the power and the tools to do all these things it can’t have karma blocking the path for the newly attuned person to grow into the person the Galaxy want’s him or her to grow into…. so with the help of your newly gained friend you can cleans yourself from Karma once and for all.